Thanks for visiting Apts Denver! 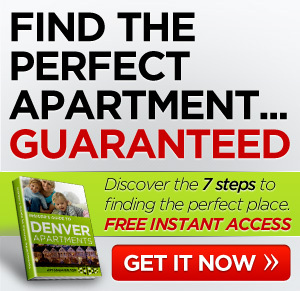 We’re excited to help you learn more about how to find apartments in Denver and take advantage of the best deals. We run an apartment management service that manages some of the best apartments in Denver. As our business has grown, we’ve figured out that the most important part of what we do is providing great information to people who are looking for Denver apartments. One thing led to another and we decided to build this Web site as a way to give back to the people that live in the apartments we manage. Our goal is to help you find your apartment in Denver and to help you lift your apartment-tenancy experience to the next level. We hope that our knowledge and experience will add comfort to your life and a new level of happiness to the place you call home. Finding the perfect apartment in Denver doesn’t require an advanced knowledge of the area and, believe it or not, you don’t even need a professional to help you. All you need is some good resources and the smarts to figure out what you want. Because we manage apartment complexes all over Denver, we hope you’ll understand that we’ll be suggesting some of the properties to you that we represent. 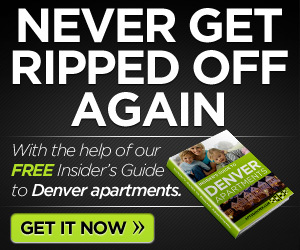 If you’d like to see a full list of the Denver apartment complexes we can help you evaluate, download our Free Guide to Denver Apartments. If you need help finding an apartment in Denver or have questions about the site, please feel free to contact us online.